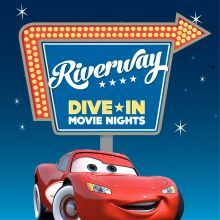 The Townsville City Council hold regular Movie Night screenings under the stars at our local Riverway Lagoons. Bring your togs and towel, cool off and watch a movie on the big screen. On the 1st Saturday of each month Carlyle Gardens hosts a market full of handmade arts and crafts, made with love. With a kids corner, café, and open all morning, this is a wonderful community event for everyone. It’s a 5km run – You against the clock. Come along and join in the fun; whatever your pace. FREE - Every Saturday 7am – 8am at Tony Ireland Stadium Riverway.